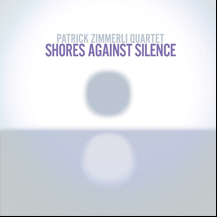 Although Patrick Zimmerli Quartet - Shores Against Silence was released on November 4, 2016 and distributed by Songlines Recordings, it was recorded in 1992 and only distributed as an underground tape on the New York music scene. For Jazz lovers, the wait was well worth it! Consisting of 6-tracks composed by Patrick Zimmerli, the instrumental release takes the listener on a fabulous journey of Avant Garde, traditional, and modern Jazz. Patrick Zimmerli Quartet - Shores Against Silence was produced by Patrick Zimmerli and Executive Producer Tony Reif and released on the Songlines Recordings label, and distributed by. The 6-track album was released as an Archive series, volume 2, which was recorded live to DAT on June 16, 1992 by Katsuhiko Naito at The Studio in New York City, and Mastered by Graemme Brown at Zen Mastering, Gabriola Island, British Columbia. Patrick Zimmerli notes about the music, "Back in those days no one had the technical means to deal with these rhythms, harmonies, and pointillist lines, much less to know how to improvise them. We were feeling our way, and we would practice for hours together." What I especially love about this release is the exploration of sounds and rhythms that poke into the deep recesses of Jazz traditions and then explodes out of the box. The release open with the track, The Paw, which is the most experimental piece on the release. An interesting point to note is that The Paw "was selected as the winner of the first annual Thelonious Monk Composers Competition in 1993." Next in the line-up is Three Dreams of Repose, a dreamy, sleepy piece which showcases the talents of the players. Patrick and the band pick up the pace with the track, Hephaestus, one of my favorite selections on the release with its long saxophone passages that meld with the bass, drums, and piano to round out the song, stopping along the way to feature some excellent piano work by Kevin Hayes. This song showcases the exceptional ability of Patrick Zimmerli on tenor saxophone, and that of the group. Conceptualysis opens with a drum intro that segues into the addition of piano, then blends in the saxophone to create unique rhythms that make this song shine. Athena is another outstanding track with a well-placed drum solo to add the right amount of spice to keep the vibe going. The release closes with the exceptionally beautifully track, Soft Blues which brings the listener down gently after a fantasy ride of Jazz - 25 years in the making. The wait was well worth it! Websites where you can procure Patrick Zimmerli Quartet - Shores Against Silence are Songlines and Amazon.com. © December 2016. Luxury Experience. www.LuxuryExperience.com All Rights Reserved.